Brian, 9J2BO will be active from Zambia 15 - 31 October 2014 with Special call 9I50BO for 50 years anniversary of independence of Zambia. Africa is one of the most beautiful continents in the world that one should consider themselves lucky to experience in their lifetime. It is believed that the start of mankind came from Africa and it is not hard to believe as there are still a diverse number of cultures that live there today. Zambia is in South Central Africa and is a land locked peanut shaped country no bigger than France. Due to the fall of Zimbabwe and its leadership Zambia has benefited greatly and the economy has finally stabilized. This country as small as it is as fought a long time for their independence and now is becoming one of the up and coming thriving countries in Africa. The history of mankind in Zambia stems back over two million years. In 1889 however Cecil Rhodes was granted concessions to mine in this region and sent his settlers forth to begin work on the land. He established the British South Africa Company and this area was then governed by them until 1924. This is when the British took over and it became known as Rhodesia. Zambia formed part of Northern Rhodesia and Zimbabwe part of the South. It was not until 1964 when they formerly gained their independence. South Africa was suffering during apartheid and Kaunda, the ruling party in Zambia at the time, were anti-apartheid. Kuanda offered a base in Lusaka to the ANC which was the anti-apartheid movement in South Africa at that time. This created huge problems for Zambia as they were being attacked as well as having South Africa formulate economic sanctions against them. As much hardship as it caused to their country at the time, the support of the people was never lost. This is something that the Zambians are still proud of till this day. After a few years of political issues amongst parties, Zambia finally moved to a proper and well run democracy. In 2011 they were even featured as being one of the only countries where a current president lost the re-election. This peaceful election process just shows how far the country has come. Zambia is one of the most culturally diverse regions in Africa and is home to over 70 different tribes. There are also over 20 different languages each with their own multiple different dialects. The most amazing part is how all these different cultures co-exist so well. The Bemba tribe came from the Congo in the 16th Century and make up more than 20% of the local inhabitants of Zambia. In the East you will find the Ngoni, Nsenga and Chewa tribes which make up about 15%. This is the same number as the inhabitants of the West known as the Bantu Botatwe or Three Peoples. This is a combination of three different tribes, the Ila, Lenje and Tonga. There are also the Lozi people who are very well known for their amazing basket weaving and crafts. There has been co-existence of cultures in Zambia for many years as many have migrated through or stayed in the region. It has become a custom to be accepting of those who are different or perhaps from other tribes or villages. There is a true sense of the unity in Africa. The Victoria Falls were formed as a result of weak sandstone that cracked and broke down extending the river into cascading waters that extends every year. It is roughly twice the size of Niagra Falls in America. With all the political uproar in Zimbabwe, more tourists have chosen to visit the northern parts of the world famous Victoria Falls. This UNESCO World Heritage Site offers the tourism sector of this country a massive boost in its economy as more people opt to view the north side of the falls. 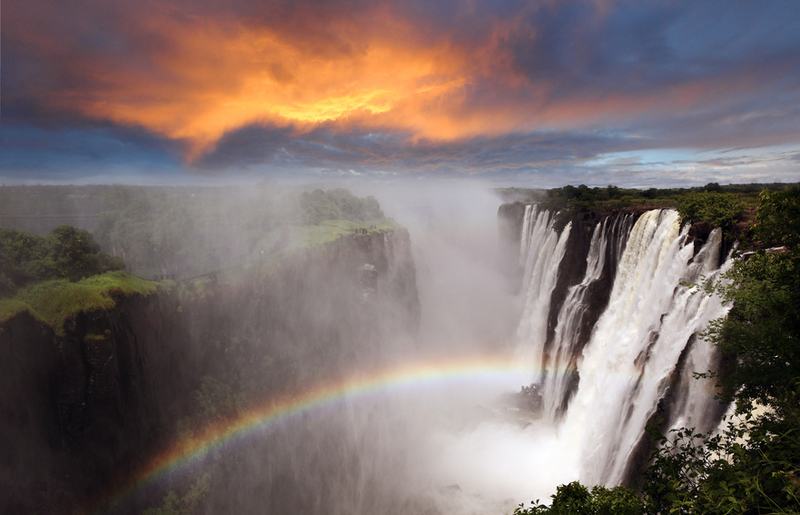 These waterfalls border along Zimbabwe and Zambia and are considered the largest sheet of falling water. It is also known as the ‘Smoke that thunders’. On the Zambian side of the falls lies the very famous ‘Devil’s Pool’. A small pool that is naturally formed and allows the brave to swim on the edge from where the water cascades. If you are not a fan of heights you can also view the falls from below from a variety of channels via canoe. 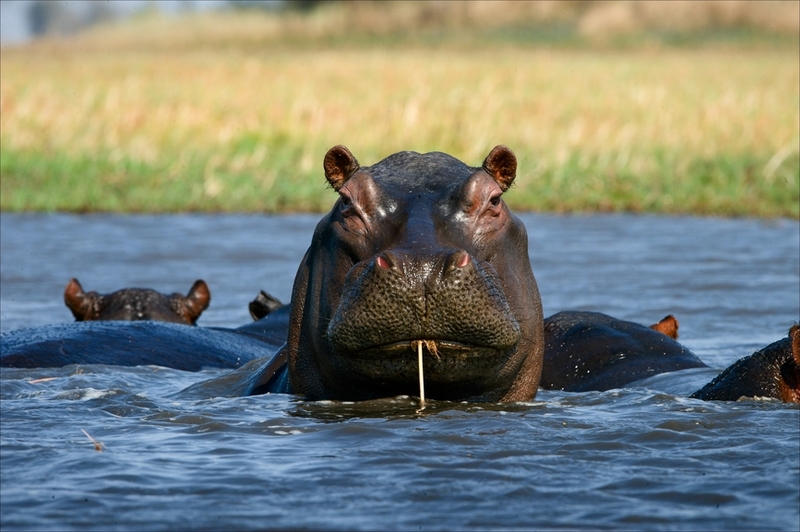 Africa has many beautiful natural elements to view and is also not short on wildlife. You can find a variety of National Parks that can take you on day or night excursions through the heart of Africa. Most people on earth never get to see an animal in the wild and here it can be found in abundance even from your hotel room. You can go by vehicle or simply walk through the terrain it is entirely up to you and how you wish to experience it. 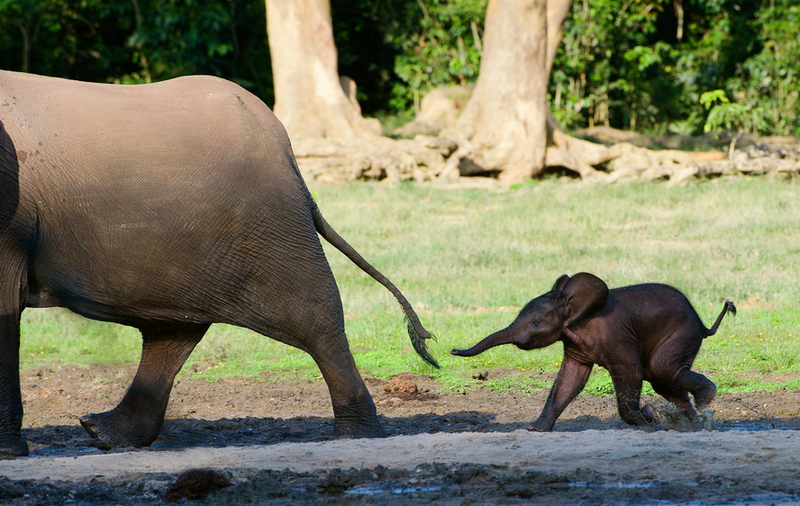 It is home to animals such as lions, wildebeest, zebra, giraffes and so many more that they cannot be listed. You will find your hand glued to your camera for all the pictures you will be taking. All the guides are well informed and can tell you everything you need to know about any of the many creatures you encounter on your journey. You can even go on spotlight 4x4 drives at night to view the wildlife at their best when they are hunting. It is an overwhelming experience seeing such an array of different creatures in their natural environment and sometimes so close you can almost touch them. Zambia is a true gem of Africa and shows how culturally diverse and accepting a country can be. Their independence from Zimbabwe has allowed them to develop their own economy and political structure and it is working well. The people are friendly and always willing to help and share knowledge. It is still unbelievable to see a place with so many different tribes and people from different walks of life all life in total harmony and peace with one another.